The definitive English translation of the Critical Edition. A comprehensive and thoroughly annotated sixteen-volume resource for the study of Bonhoeffer in the wider frame of twentieth-century thought and history. Dietrich Bonhoeffer Works Series is a translation from the German editions of Dietrich Bonhoeffer Werke. Several of the volumes are now available in English. 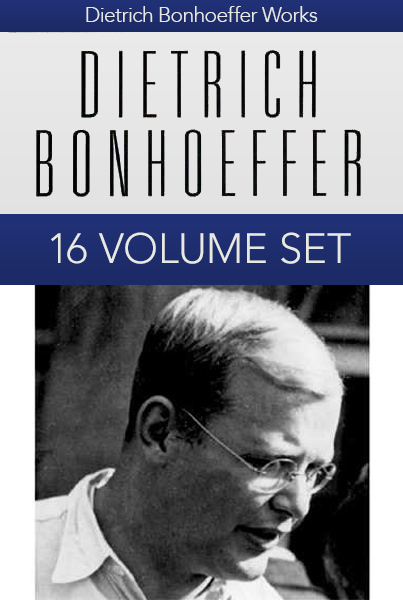 This set includes a variety of Bonhoeffer's writings, including published books, theological and academic writing, fiction, poetry, and letters to his friends and family from prison. Follow his journey from his early years and education, including his doctoral dissertation, through his travels around Germany and into Spain and the United States, and finally to his sentence in a Nazi prison. Here you will find a wealth of wisdom from a man who was a pastor, poet, theologian, and martyr.